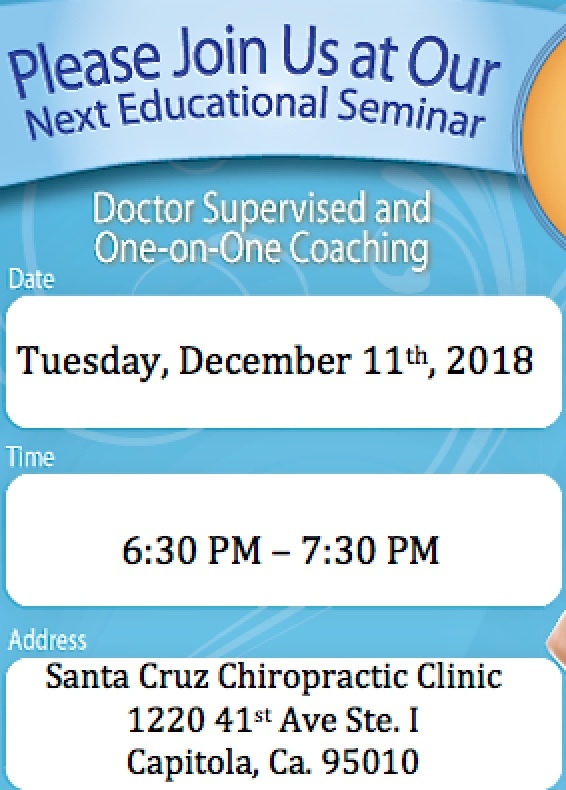 Read these real patient testimonials and learn what Santa Cruz Chiropractic can do for you! I had terrible pains in my left leg that at times made me cry. The pain traveled down to my foot.Also, my right foot was at a 45 degree angle and when I tried to correct it as I walked, it hurt. I was unable to do my walking and I also used a cane. Well – the pain is gone. I still have a few twinges in my thigh but very few and far between. I can now position my foot into a correct position with no pain. I am back to taking my two-three mile walks. I can do so without my cane most of the time. I feel I am standing straighter but most of all – the pain is gone. After 2 cortisone shots in my spine and my left knee with no results – Dr. Sproule has done it. We have had regular chiropractic care with Dr. Sproule for a few years now. At 36 weeks, Wyatt was confirmed with ultrasound as a breech presentation. Dr. Sproule adjusted my back and worked on a ligament for a week and a half and Wyatt flipped so that he was in the normal birth position. This was also confirmed with ultrasound. Wyatt was birthed normally and is doing great. Chiropractic works great for us. Try it – you won't be disappointed. I was very stiff and would get bad headaches whenever it rained. Sometimes I would not be able to go to work, I had to turn off the lights and just stay in bed until I felt better. I had been seeing other chiropractors but it didn't seem to be helping much. I am now a lot more flexible, and when I get a headache it's very mild. I no longer have to take days off from work because my head hurts, and now I am able to do things on rainy days.